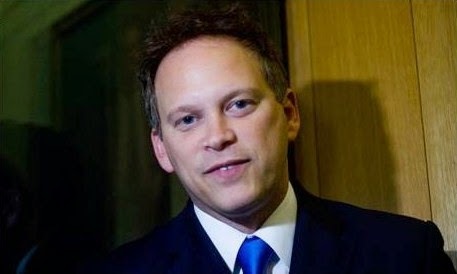 As soon as the news that Tory party chairman Grant “Spiv” Shapps’ had been caught lying about his use of the alias “Michael Green”, and about not having a second job after he became an MP, became known, his party has faced a dilemma. Do they try and tough it out and hope no more bad news emerges - or, despite it being less than two months to the General Election - do they bite the bullet and sack the SOB? Sadly for Young Dave and his jolly good chaps, the right course of action was to leave “Spiv” Shapps in the library with the bottle of reassuringly upmarket Scotch and loaded revolver to do the right thing. And, not for the first time, they bottled it. Yes, as I pointed out yesterday afternoon, there was what looked suspiciously like an organised torrent of excuse generation in support of Shapps - and he stayed. That this was not just the wrong decision, but glaringly so, has been confirmed in spades since then. After Shapps’ dishonesty had been revealed, Dean Archer, the constituent who he had bullied - with the aid of the Tory Party’s lawyers - into climbing down and apologising for stating something that turned out to be true and not in the least libellous, decided to speak out about his MP. “Shapps forced me to write something that was false. MPs are powerful people and Shapps has not liked me because I campaigned against his plans to abolish the local council here and let Welwyn Garden City take us over. That’s how I got involved in Labour council politics” he told. Archer would now seek compensation from Shapps. That might come to the boil just in time for the election. Shapps’ majority in Welwyn Hatfield is over 17,000. But the seat has been held by Labour recently, and if his electorate takes against him, well, who knows? Those upstanding people will have no shortage of information to help them decide who to vote for, and perhaps who not to vote for, in May. For starters, the Guardian has helpfully compiled a list of Shapps’ less savoury wheezes for their perusal. These include his eyebrow-raising method of increasing his Twitter following, the software his company was flogging that plagiarised others’ content, the business testimonials that could not be traced, and a get-rich-quick exercise that may not be a pyramid scheme - but looks suspiciously like one. Then there has been another intervention from the serially tenacious Tim Ireland at Bloggerheads. When the Tory Party claimed “Like many authors and journalists, Grant wrote with a pen name. This was completely transparent: his full name and biographical details were permanently published on the company’s main website”, they claimed wrongly. His alter ego “Michael Green” claimed to be a full-time MP (Shapps wrongly asserted that he had stopped using the name by this time). He then tried to wipe the evidence. He failed. Grant Shapps has lied time and again. He has used lawyers to pursue someone who told the truth about him. His business activities smell more ripe every time they are re-examined. He’s even useless at covering his tracks. The Tories should have not only relieved him of the party chairmanship, they should have thrown him out. They, too, failed. The Bloggerheads post is dynamite. Mr Shapps / Green is bang to rights. To my great nausea Shapps once followed me on Twitter for a day. Spot on Tim - this guy needs to be ejected from politics. Let him go back to his charlatan career of plagiarism. Find someone called Michael Green and get them to run as an independent candidate against Shapps. Seems feasible/possible given that Green is a fairly common surname and Michael a very common first name? Now that the spotlight in on the spiv has anyone considered why he has those strange bags under his eyes, and which, possibly illegal, intoxicant might have given rise to them? I'm not an expert but every time I see those bags they do seem unusual. It was perhaps apposite that his main defender on Twitter yesteday was Jeremy Hunt who kept his job, indeed was promoted boyond his ken, for allegedly being a firewall for the big boy at No 10. For similar reasons I think we can take it that "The Spiv" will be safe in his job as he is likely to be aware of more skeletons in the cupboard. Unless the fraud squad do their job which given the state of the London markets, where fraud abounds, is unlikely.